After making waves with their 2013 Christmas Pack, Jordan Brand is set to make noise once again with one of the highly-anticipated retro shoes this December. JB will release the “Gamma Blue” edition of the Air Jordan 12 Retro that is expected to duplicate the success of the AJ 11 Retro that was recently released. The shoe features a black-based upper part with Gamma Blue midsole and red Jumpman logo on the tongue. 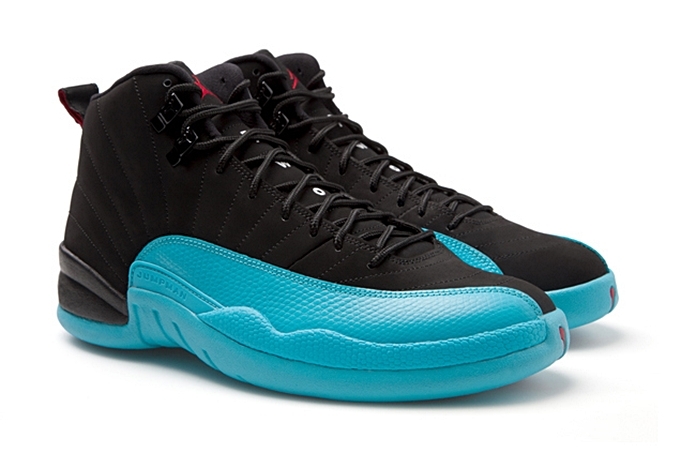 Officially listed as the Black/Gym Red-Gamma Blue colorway, this shoe will retail at 170 per pair.